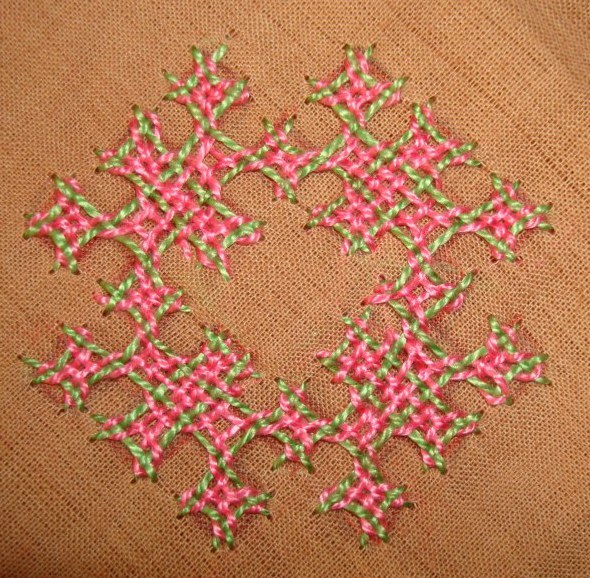 The steps to work the woven version of the motif, which I had designed on a yoke pattern is presented here. 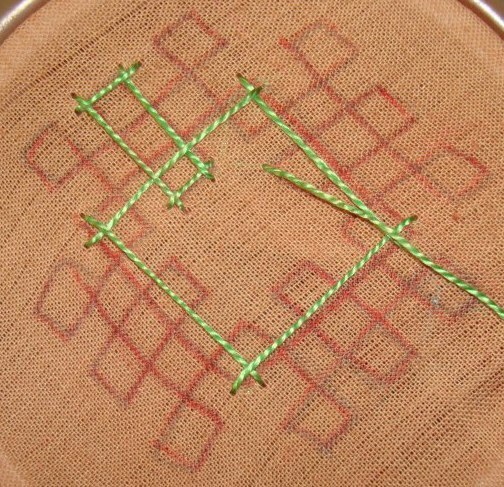 The basic stitches- the basic stitches are worked in three steps. 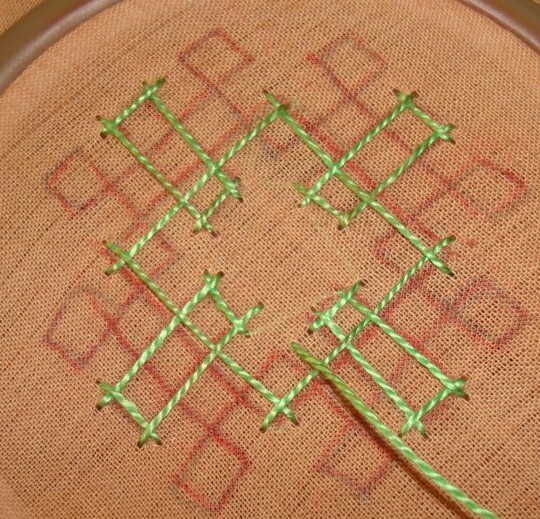 Step-2- the beginning of the working of basic stitches on the four corner bands. 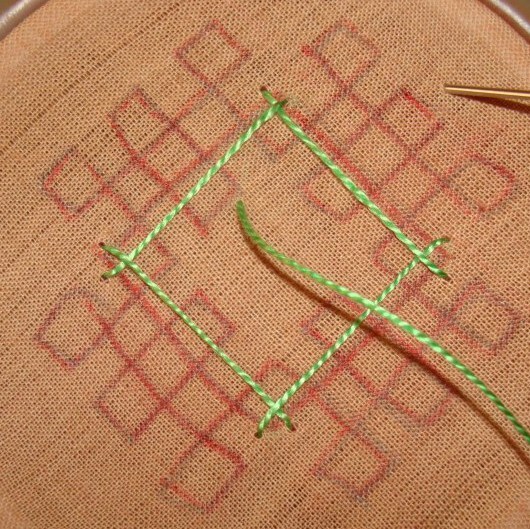 Step-3- the beginning of the basic stitch on the outline and squares. 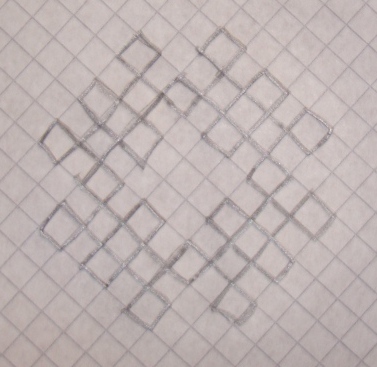 Work in progress on the outline and squares. 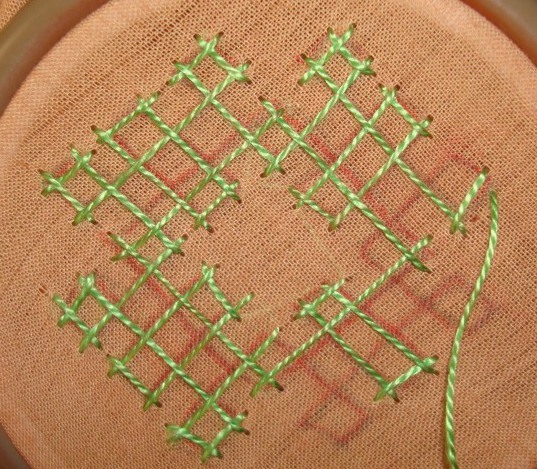 Note the movement of the thread on the intersections and insertions. 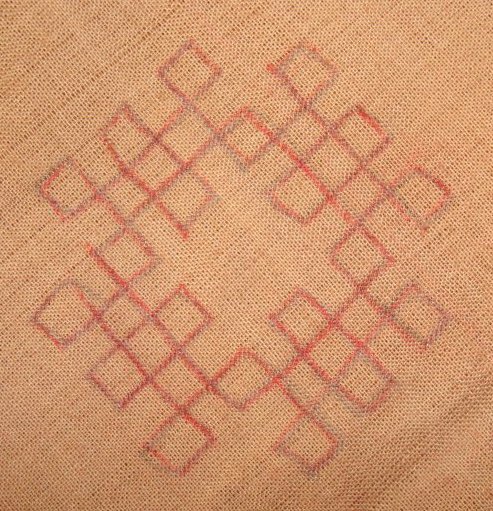 Follow them and practice on them again and again to get the basics perfect. 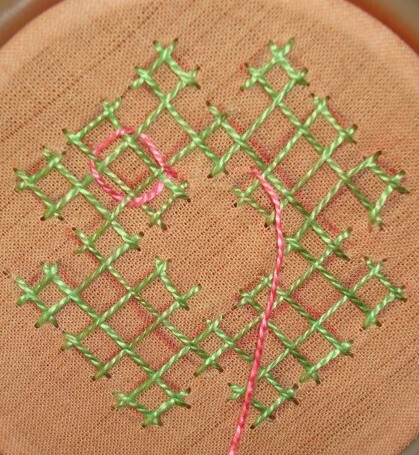 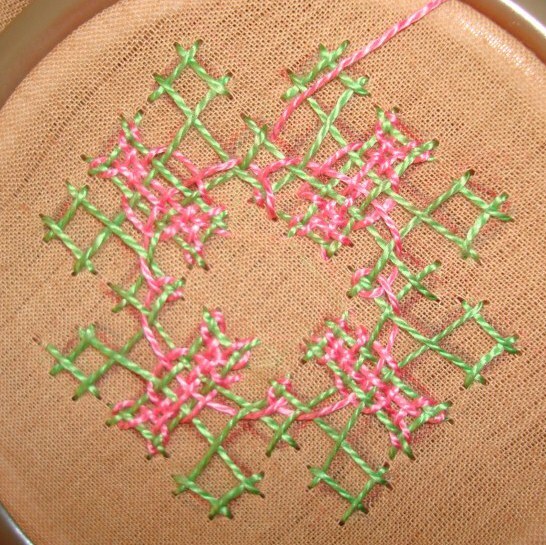 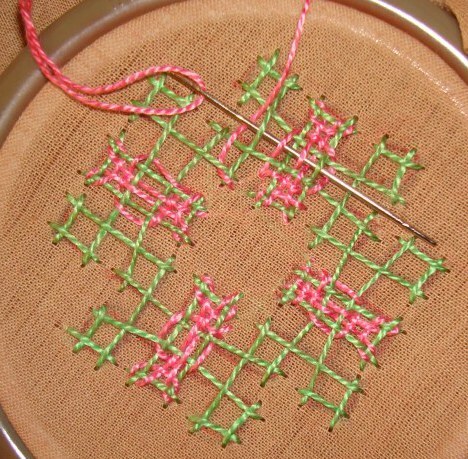 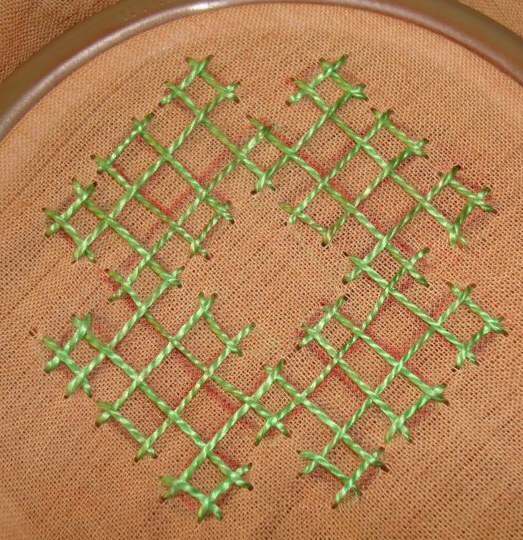 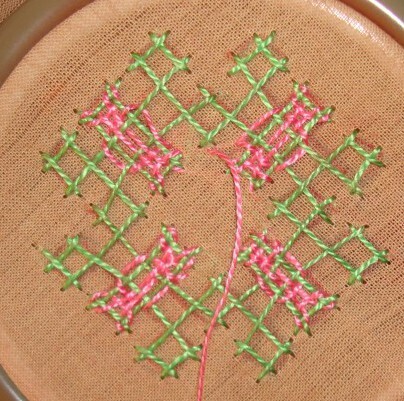 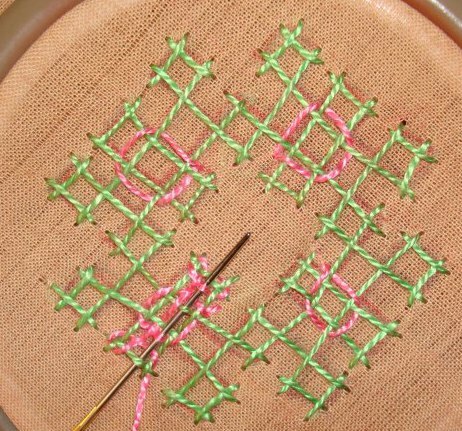 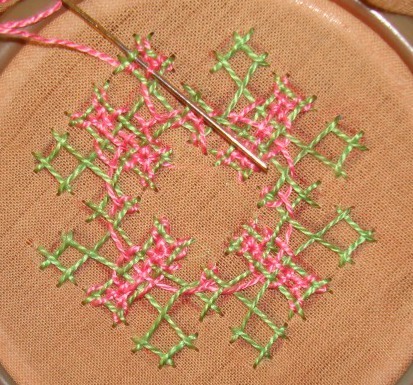 The three steps of basic stitches are completed in green thread. 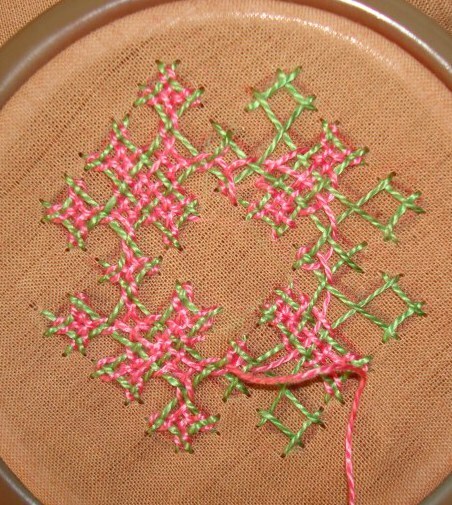 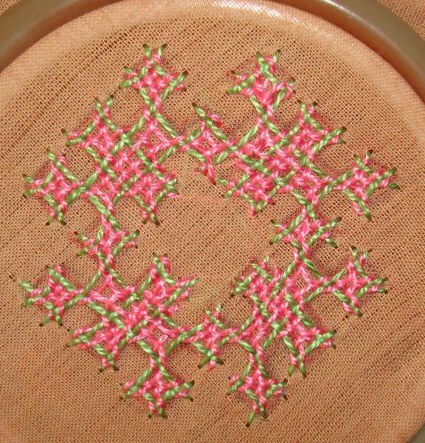 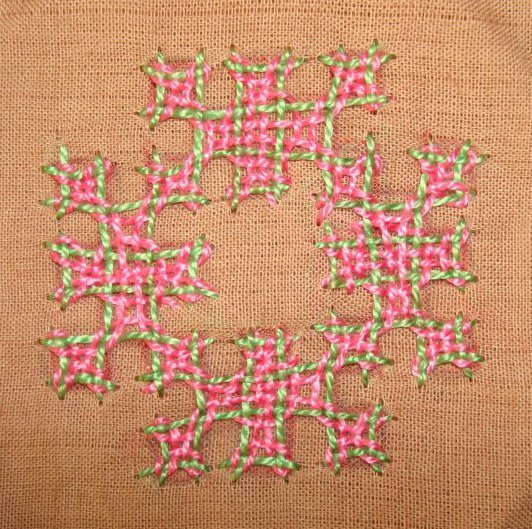 This part is done in pink thread. 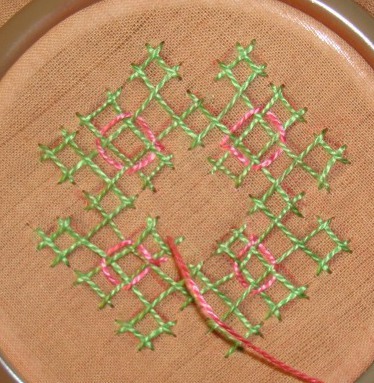 This is done in four steps. 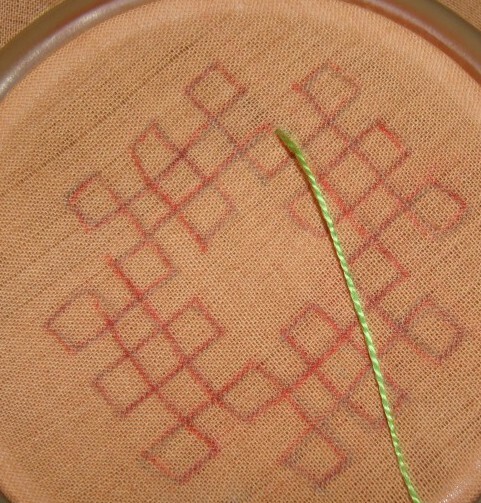 The working of the weaving journey on the first band. 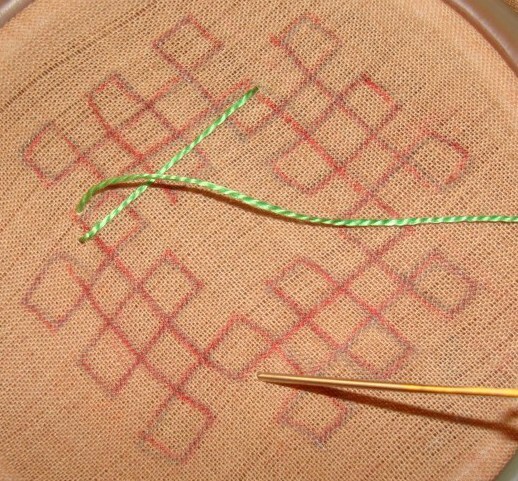 The weaving on the bands completed. 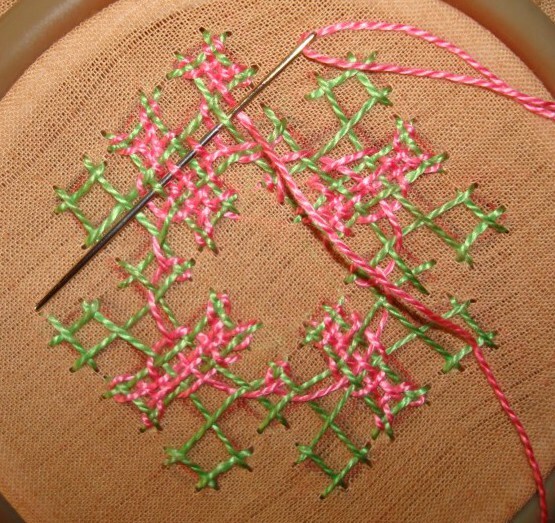 The last weaving on step-3. 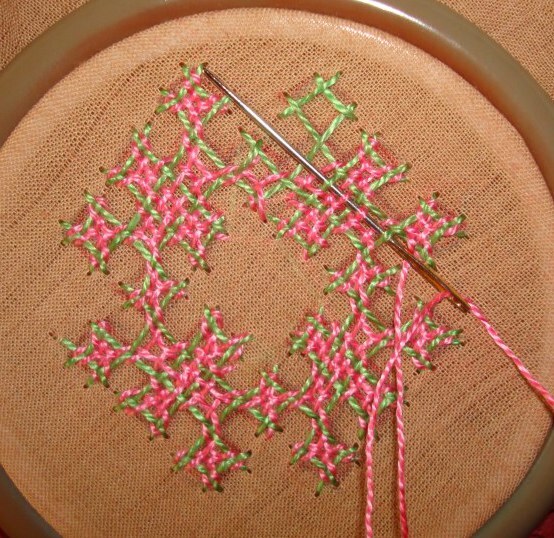 Love this kutch work design and the embroidery. 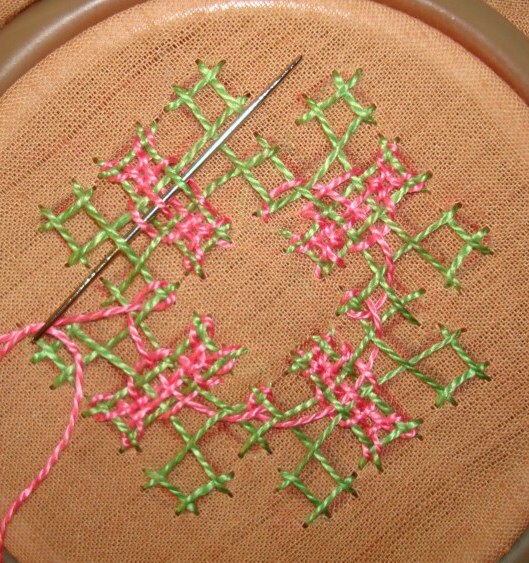 Seems complicated but easy and enjoy it once you get a hang of it.